Built to with two smooth-running props, the Duo Realis Spinbait 80 is perfect for light line finesse techniques, including the new Japanese technique of “spybaiting”. 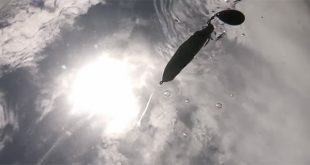 The technique of “spybaiting” (also referred to as the “silent capture”) requires light line, a long distance cast, and a sinking style bait that can be crawled back to the boat. It takes patience and refinement, but is rumored to be incredibly effective. 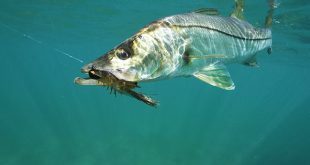 The Duo Realis Spinbait 80 is ideal for “spybaiting” because the compact body casts incredibly far and provides a heavy rolling action, even on a slow retrieve. Built with an internal fixed ballast, the Duo Realis Spinbait 80 stays deeper for a longer period of time than a traditional propbait, and also sinks on the pause with a tight wobbling action. And if that wasn’t enough, the props add another element of attraction by producing a strong pulsing as they whiz through the water. 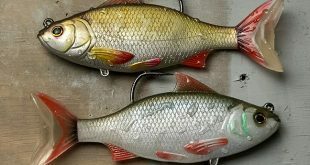 Complete with two razor-sharp treble hooks, the Duo Realis Spinbait 80 is another example of how Duo Realis remains at the forefront of bass fishing. and ok… I had to share this as well….